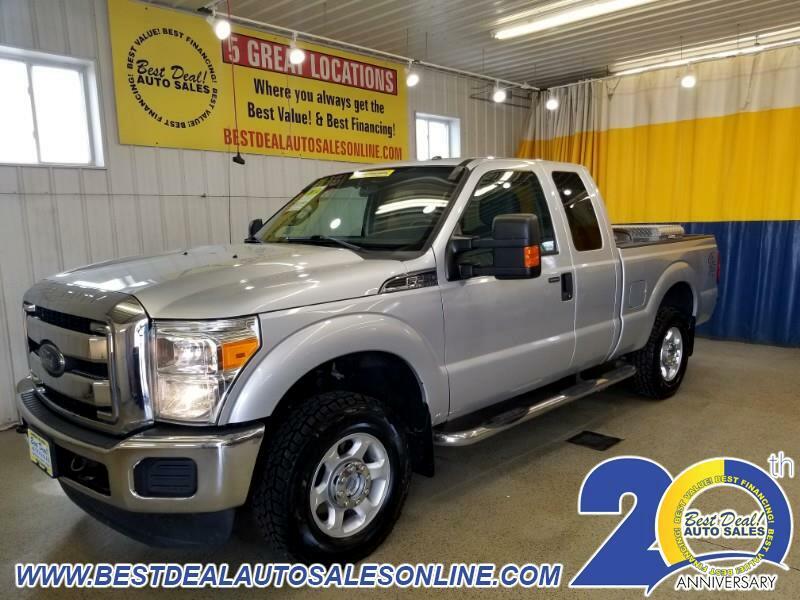 **4 NEW TIRES** 2014 Ford F-250 Super Duty XLT Super Cab! 4x4! Powered By A 6.2L V8! Runs On Gas Or CNG! Cloth Interior! Power Driver Seat! Power Door Locks! Power Windows! Power Mirrors! Steering Wheel Mounted Cruise And Audio Controls! Cd Player! Powered By Microsoft SYNC! Bluetooth! Tow/Haul Package! Trailer Brake! Weather Guard Roll Out Tool Box! Stop By Today Or Give Us A Call @ 260-357-0099!